Many tenants tend to ignore the early signs of condensation and never mention it to their landlord until the problem has exacerbated, causing mould to spread across your walls, windows and ceilings. Despite the problem lingering for months beforehand the tenant then expects you to solve the problem in a timely manner and completely redecorate the damage that has been done. The reason condensation appears in your property is due to a lack of adequate ventilation and heating. As we spend more time indoors and make our property more energy efficient the build-up of moisture and humidity levels increase. In fact, four people living in a 3 bedroom property would create 112 pints of moisture a week from just breathing, cooking, showering and boiling the kettle. It's fair to say, the winter season can be an expensive time if your tenants are not instructed to spot the signs of condensation and take precautions. LentinSmith welcome their third year of providing a comprehensive Block Management service across the Yorkshire region. We have seen a large growth in the requirement for a professional agent to manage the timely duties of property manager. Our experienced team of in house property managers are on hand to deal with emergencies, routine matters and one off projects. Whether you represent a large purpose built block of apartments, a conversion in a listed building, or have an individual flat in a converted house, LentinSmith can tailor a service that’s right for you. We have been overjoyed with the positive feedback we have received from our current clients and are now investing further in new software systems to ensure we can continue to meet the local demand for a personalised service for block management needs. ATTENTION, attention! - We'll shortly be advertising the largest penthouse suite at the prestigious development known as The Gatehaus in Bradford. The property is on two levels with three bedrooms, four bathrooms, allocated parking and extensive outside space overlooking Bradford City Centre and beyond. Photographs and floor plan will follow in early course, but if you would like to view - Please contact our Leeds branch on 0113 245 6050. An opportunity not to be missed, this apartment rarely comes available to the market, don't delay! Last week LentinSmith had the pleasure of having a work experience student from King James School in Knaresborough. Ollie Wilson spent his week at the Harrogate office shadowing Charlotte in her varied role as Lettings Negotiator. He experienced all sides of the Lettings process from advertising the properties, right through to the checkout process and all that is in between. During his experience at LentinSmith, Ollie was given the task of writing an article on a subject of his choice within the lettings industry to be displayed on our news page, which is published below. Thank you Ollie for your assistance during your weeks work experience, we hope you enjoyed it here at LentinSmith. Average tenancy length on the rise, but what does this mean for landlords? With the UK rental market always changing, this is leading to longer stays in a single rented property, with the average tenancy stay standing at 18 months. But is this a good or bad thing for landlords? If you look back several years, tenants were only usually staying somewhere between 6-12 months; however as more people see the rental market as a more viable choice for finding a home, alongside the rising spectrum of properties available for rent, the average tenancy length has risen. When comparing the city centre markets, the highest average tenant stay is currently held in Birmingham for a staggering 28 months, and at the lower end of the spectrum with cities such as Cardiff with an average stay of less than 12 months. A longer tenancy stay means fewer turnovers of tenants which is very much preferred by landlords, this minimises any vacant periods and general wear and tear of the moving process. However in cities where there are relatively high rates of turnover, there are still some positive outcomes, with the average vacant period showing an overall decrease to 22 days, (just over 3 weeks) before another tenant signing an agreement. Although these outcomes are positive, it is also meaning that landlords are losing an average of around £540. Overall a longer stay of tenants is a good thing for landlords as it means more income for the period of time when there would have been a tenant turnover. LentinSmith achieves property qualification of excellence! Victoria, our Senior Letting Agent in Harrogate, has achieved the National Federation of Property Professionals (NFoPP) QCF Level 3 Technical Award in Residential Letting and Property Management. The Technical Award, which is a nationally recognised industry qualification, meets the Association of Residential Letting Agents' (ARLA) membership requirements for those looking to join the Association as a member agent. ARLA is the UK's foremost professional body for letting agents. It aims to promote better regulation and higher practice standards in the UK private rented sector. Victoria has been with us at LentinSmith for 2 years, this new qualification is a mark of professionalism and reassurance to both Landlords and Tenants that LentinSmith provide the highest professional standards and their employees are qualified and knowledgeable letting agents. We're pleased to announce that Charlotte Hobson recently completed her level 3 higher award in Residential Lettings and Property Management. Charlotte joined the LentinSmith team in May 2013 and has continued to broaden her knowledge in the industry year on year. Having completed her Level 2 award last Summer, she progressed to Level 3 which has given her a more in-depth knowledge of legal aspects involved with lettings. Charlotte is an excellent member of the team - having developed her professional skills and experience over the years as well as her understanding of the locality, she is a valuable asset and a great point of contact for the Harrogate office. Following last week's successful Landlord event, we would like to thank all of you that came to visit us in our Leeds and Harrogate offices. Our offices became busy with old and new faces and it was a pleasure to see you! Copious amounts of tea, coffee and cake were consumed (mostly by ourselves) and it was a lovely opportunity to catch up with those of you that we haven't seen in a while. We hope the information provided has answered any queries you may have had regarding the new legislation that came into force on 1st October 2015. Our doors at LentinSmith are always open, so if you didn't get chance to stop by for our Landlord event last week please feel free to pop in for a cup of coffee at any time. Our team are always on hand to help. We are hosting our first Open Door event next week. All current and potential landlords are invited to our offices in Leeds and Harrogate to put faces to names and find out more about what we do on a day to day basis. There will be plenty of tea, coffee and cake provided, so pop in out of the Autumnal weather to say hi! We have been managing properties across Yorkshire for 8 years and with a continuously expanding portfolio we thought it was time to invite you into the place where the LentinSmith family call home. With recent changes to the Lettings Industry laws and regulations, which came into play on 1st October 2015, the Open Door event is a great opportunity to come to us with any concerns or queries you have regarding the new processes. The Open Door event will take place every morning between 9am-12noon the week commencing 19th October. Whether you want to discuss your portfolio, or if you are looking for advice on further investments, the team will be at hand to help. We look forward to seeing you for a slice of cake! Starting today landlords and letting agents across England are now required to install working smoke and carbon monoxide detectors in their properties. LentinSmith are working closely with our landlords and tenants to ensure that these requirements are met. So, to help you keep yourself, your tenant and your property safe we thought we would explain a bit more about the changes that are taking place over the coming weeks. The new legislation announced in March 2015 will 'help to prevent up to 26 deaths and 670 injuries a year'. With nearly 40% of fire related deaths occurring in properties that do not have working smoke alarms, ensuring your tenants are provided with the correct safety equipment is essential. Property professionals, managing private rental properties across England are by law required to install detectors starting from October 2015. Smoke alarms must be placed on every floor of the property, while carbon monoxide detectors must be placed in high risk areas with a solid fuel heating system, for example - a log burner or coal open fire. If you fail to meet the requirement you could face a fine of up to £5,000. The new legislation does not apply to a house in multiple occupation (HMO) in respect of which a licence is required under Part 2 of the 2004 Act, or to a house in respect of which a licence is required under Part 3 of that Act. Funding has been granted to the fire and rescue authorities to offer a number of free smoke and carbon monoxide alarms to help landlords meet the new requirements. We have been working closely with all parties to ensure that our rental properties comply with the legislation and once the government have published the final guidelines we will circulate these to you. If you have any further queries or would like to find out more about the new legislation, please Click Here. Alternatively feel free to contact your local LentinSmith office to speak with one of our members of staff. Maintenance problems at 3am? Not a Problem! Tighter regulations are coming into force on 1st October 2015 in relation to the time it is taken to respond to maintenance issues. Since 2008 LentinSmith have invested in a programme which enables the tenants to report maintenance queries at any time of day or night and the software will then instruct the tenants on how best to proceed. Fixflow is very easy to use and provides your tenants with information and instructions to help fix simple issues themselves, meaning no more call outs for blown light bulbs or "broken" boilers that simply require switching on, which in the long run, saves our landlords money! 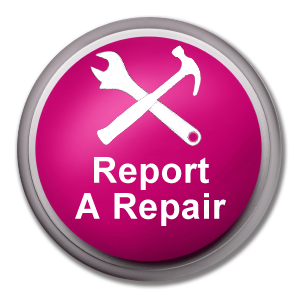 Should the report be of a more serious nature which is detrimental to the property or risk the tenant's safety, the system will notify our maintenance team immediately, giving them a full report including photographs, contact details and recommendations, resulting in the maintenance issue being dealt with in a prompt and efficient manner. The software is also available in over 40 languages with each issue report being translated for our maintenance team and sent over in seconds. LentinSmith don't grumble about maintenance reports, because we have the facilities to manage maintenance queries at any time of the day or night, saving landlords money and providing a quick and efficient service to tenants! Here at LentinSmith we are continuously looking at ways to improve the service we provide. We believe innovation is key, and we aim to keep up to date with new technology, meaning all our clients, both landlords and tenants can utilise the very best services available in the market. Research shows that more and more people are searching for properties online as opposed to shop windows; whether this is through property portals, social media, online PR and adverts or search engines, the availability to find the property or service you are looking for is becoming easier with new technology. This month LentinSmith launched a new and exciting piece of technology to the Letting's industry. The 360° Video Tour! This state of the art photography now allows property hunters to virtually have an all round view of the premises. Whether it is a castle, gardens, views or a storage cupboard, this clever tool can capture it, allowing you to explore! Check out one we did earlier by clicking here. When searching online; property virtual tours are perhaps the most detailed and interesting way of viewing a property, allowing users to manually view every nut and cranny without moving from their seat. By the click of a mouse you can drag your way through the advertised property no matter how big or small each room is, always retaining a high quality image. In the recent months we have been accommodating video viewings for overseas viewers that often arrive in the UK with work contracts and require accommodation immediately. Offering them this feature means they can view the property from all around the world and begin the application process before even arriving in the UK. But it doesn't just benefit those coming from abroad; it is very popular for those people relocating from different parts of the UK, that do not have the time to view an abundance of properties in an evening or weekend. LentinSmith are one of the first agents to offer this service and it is a great way to make your property stand out in and amongst the rental market. We feel this is the way the market is heading and we are proud to be one of the first! Today LentinSmith are celebrating their 7th birthday. LentinSmith was originally set up by two longstanding landlords in 2008 with the simple aim of delivering professional and practical advice combined with outstanding customer service. The partners today have a wealth of practical and technical expertise from their combined 50 years experience of residential letting and property management. Backed up with a team of experienced and professional individuals our all round expertise and service is unbeatable. LentinSmith has continued to grow 15% year on year. With a portfolio of over 700 properties across Yorkshire LentinSmith's team and knowledge is still expanding to this day. In 2012, LentinSmith took the plunge and travelled from North to West opening their second office in Leeds city centre. The office now covers a wide range of properties across West and South Yorkshire managing professional lets, student lets, HMO's as well as Housing Benefit tenants. Not only this but in 2015, due to a high demand for block management in the area, LentinSmith opened LentinSmith Block Management Ltd to best ensure the needs and requirements of landlords in this department can be met. LentinSmith are consistently looking for ways of expanding the service provided. With Landlord personal online log ins, floor plans and the up and coming 360° photography LentinSmith will continue to innovate new ideas to ensure there is a package that can be tailored to every landlord. 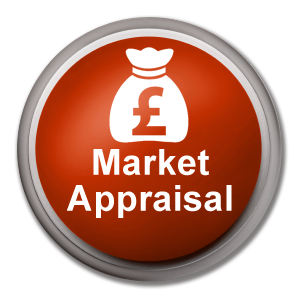 For more information or for a free property appraisal please contact offices on 01423 8177/0113 245 6050. Feel free to pop into the office for a celebratory cake. Onthemarket.com launched 4 months ago as an aim to challenge the dominant duo Rightmove and Zoopla. The Agents Mutual run site onthemarket.com, also known as OTM, has done more than expected over the last quarter. Although Rightmove has taken little impact, Zoopla has suffered the majority of the churn. In March Zoopla lost 23% of its UK estate agency memberships. When LentinSmith joined the agent run portal in January 2015, it was obvious, as with any new property portal, it would be a climb. The two power portals have dominated the oligopolistic market for several years with any new portal falling into a black hole within weeks. Onthemarket.com has managed to challenge the two by having agents remove themselves from one of the two portals. With the majority of agents no longer listing with Zoopla potential tenants have had no choice but to look elsewhere. As a result of multi million pound marketing campaigns and over 5,000 branches across the UK spreading the word, the new portal is continuing to thrive. LentinSmith are thrilled to announce we raised an incredible £1,100 for Acorn Committee this month. The money, along with a whopping £35,000 raised by other cyclists at the Acorn 100K Charity Bike Ride, will go towards supporting people suffering from dementia and their families in the North Yorkshire region. The 100K Sponsored Bike Ride was a huge success for all involved and LentinSmith are delighted to have taken part in the event once again. The course, taking cyclists over the hills and through the villages of Harrogate and York, was challenging yet incredibly beautiful. LentinSmith set out with a team of 9 cyclists at 8:30am on Saturday morning. With some of the team having not ridden a bike since junior school and others borrowing children's mountain bikes, it's safe to say we were not prepared for what we were about to endure. With blood, sweat and even tears the LentinSmith team, along with 620 other cyclists, battled the cold, wind and rain for 6 long hours. However with a great amount team spirit and smiles LentinSmith are proud to say all 9 members of the team completed the full 64 mile course. Thank you all for the generous donations, kind words and support. All the money raised is going to a great cause close to our hearts here at LentinSmith. So what's next? At LentinSmith we are continuously looking for ways we can help and support charities across Yorkshire and throughout the UK. Let us know what you think or of any up and coming fundraising events we can get stuck into by tweeting us @LentinSmith. LentinSmith team will be taking to the peddles this Saturday to tackle the Acorn 100k Sponsored bike ride. Staff, contractors and landlords are teaming together to raise money for an incredible charity based in North Yorkshire. The Acorn Committee supports people with dementia and their carers and families in many ways throughout the North Yorkshire region. People suffering from dementia has increased year on year across the UK and with little support available through the NHS many people are looking to family and friends for caring needs. Since 1999 Acorn has raised £1,150,000. The charity has donated funding for equipment, facilities and a research fellow at Leeds Teaching Hospitals NHS Trust, Rheumatology Department under Professor Emery. They have provided start up funding for a service for early onset (working age) dementia in Harrogate, raised funds for a befriending scheme, funded lunch clubs, social activities, singing for fun, outings and holidays for people with dementia and their carers as well as much, much more. The Acorn Sponsored Bike Ride began as a challenge for Acorn supporters in 2007 and has now become a very popular date in the cyclists' calendar. Everyone is encouraged to join in from serious road cyclists to enthusiastic amateurs and a number of tandems are usually expected to complete the route. The bike ride starts at Bishop Monkton at 7:30am and follows a 100k circular route through Boroughbridge, Helperby, Easingwold, Sheriff Hutton, Linton on Ouse and Martoncum-Grafton before returning to Bishop Monkton. LentinSmith will be taking on the challenge, together as a team this Saturday morning. Head down to Bishop Monkton and join our team - be sure to bring PADDED cycling shorts! Please visit our Just Giving page to help raise money for this incredible charity. Donations are greatly appreciated, both big and small! See you on the country roads. I, along with many members of the LentinSmith cycle team, do not own a bike, nevertheless I managed to borrow one to begin my intense training session. Picture the scene - I'm perched on a retro style bike with a wicker basket to the front, cycling through the picturesque roads of Harrogate. At first, I really looked the part! Two hours later, looking very dishevelled, I was less than impressed with the thought of the upcoming 100k bike ride. However, In hindsight, it wasn't SO bad after all. Even if I had only covered a quarter of what is expected of me in the real event. My next task is to find a more appropriate bike which will help (rather than hinder) my performance, and a good pair of cycling shorts to provide a little more comfort on the journey. A workman shouldn't blame his tools - but I am! With less than a month to go I feel the bike ride is going to be a definite challenge, yet I am staying fairly optimistic. Hopefully the countryside views will detract from the pain both my thighs and bottom will be subjected to. Please sponsor me and my colleagues on our Just Giving page, just type LentinSmith into the search bar to show your support. Every little penny will help get us through! The countdown has begun for LentinSmith, its employees, contractors and even their landlords to embark on the arduous challenge of a 100k bike ride! The bike ride will begin bright and early at 8:00am Saturday 9th May where we will begin to amble around the York Countryside, hopefully avoiding as many large hills as possible, to complete the tough challenge all in the aid of Charity. Acorn is a local Charity dedicated to raising awareness for early onset dementia. The charity was founded by one of LentinSmith's Landlords and is a brilliant local cause which deserves a great deal of fund raising! So here we begin, with nearly 1 month to go, training is likely to commence for most over the Easter weekend (in and around nibbling on chocolate!) And whilst half of us do not own a bike and haven't ridden one since primary school we are sure to be getting stuck in with the fund raising. Personally, I will be investing in some padded shorts and a good helmet!! OnTheMarket.com - the major new property website where LentinSmith is listing all of its properties - has announced its membership has grown to more than 5,000 contracted estate and letting agent offices. OnTheMarket.com launched on January 26 to rival Rightmove and Zoopla and features hundreds of thousands of properties for sale and to rent at all price points across the UK. The member offices, from over 2,500 agent firms, have moved their properties and their substantial advertising spends from other property websites to OnTheMarket.com. More and more of its member agents are already advertising their new-to-market properties exclusively at OnTheMarket.com at least 48 hours in advance of displaying them on any other property portal. OnTheMarket.com has already become a 'must-view' website with a unique set of properties because many of the properties on its website cannot be found anywhere else. OnTheMarket.com member agents commit to advertise their properties on no more than one other portal. In practice, this means in most cases removing their properties from either Rightmove or Zoopla. Neither can now claim complete market coverage. Around 90 per cent of OnTheMarket.com's members have chosen to remove their properties from Zoopla and remain with Rightmove. In a recent report, Morgan Stanley said it estimated Zoopla had lost 3,500 agents. Every property at OnTheMarket.com is marketed by a locally-based estate or letting agent because OnTheMarket.com knows the majority of the public recognises the benefits of having a local professional agent who can manage lettings process on their behalf. OnTheMarket.com does not feature properties marketed by online-only "agents". Alison Guggenheim said: "It is fantastic news that OnTheMarket.com has passed the 5,000 office milestone. It is remarkable what has been achieved so far but this is only the beginning. OnTheMarket.com will continue to grow in size and momentum because of its clean, fresh and fast consumer search experience. LentinSmith is proud to be part of this property market phenomenon." Ian Springett, Chief Executive of OnTheMarket.com, said: "OnTheMarket.com hit the ground running and is now an essential destination for anyone seriously in the market for residential property. We have come a long way in just a few weeks and, with more than 800 new member offices already added in 2015, we are more confident than ever that we will replace Zoopla as the number two player in the market over the coming year." LentinSmith are extremely excited to be part of the brand new state-of-the-art website OnTheMarket.com, launched TODAY. OnTheMarket will be 100% agent controlled and the only portal to be supported by ARLA and NAEA. With an already reported £8m investment by its dedicated members and nearly a staggering 5000 agents signed up, we are counting down the days until the launch. What does this mean for you? There is a new market place in town, which is dedicated to presenting properties beautifully, clearly and accurately, boasting a simple, easy to use website with no unnecessary, distracting adverts or irrelevant information. LentinSmith shall continue to advertise all our properties on Rightmove and right here on our own website. And if you don't want to join the masses or prefer the old fashioned approach, LentinSmith will always offer you our personal service, tailored advertising, industry and market knowledge in our office with a cup of tea! See you soon. Have a New Start this New Year! Are you thinking about becoming a Landlord or wanting to change from your existing Letting Agent? To all New Landlords we are offering 3 months 0% commission when you join us this January for a fully managed letting service. It is as simple as it sounds - if you join us before the 31st of January 2015 we will fully manage your property FREE for 3 months, giving you a chance to not only see, but experience what we can do for you. Are you already one of our Landlords and know of a new Landlord? To all existing Landlords, if you refer a New Landlord to us, we are offering to manage your property with 0% commission for 3 months starting from the date we take over management. This is an offer that cannot be missed! With our new online landlord portal, we at LentinSmith can ensure that you get the most out of your fully managed service. 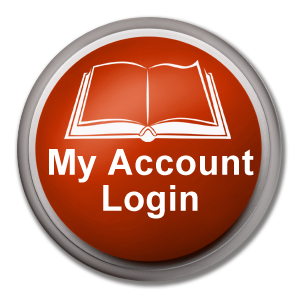 Continuously keeping you in the know with access to all property documentation, transactions and journals online at any time. Call us now or come visit us at one of our offices to discuss how we can help you. Just quote '3 FREE JAN' when enquiring for your 3 FREE MONTHS 0% COMMISION, FREE APPRAISAL AND ACCESS TO LANDLORD PORTAL. LentinSmith are always proactively looking for ways to keep our landlords in the picture, giving them an open and honest reflection of how their tenancy is progressing and their property is being maintained. We are currently improving our inventories to give all parties a quick, efficient and effective result that Landlords, Tenants and ourselves can view online. We are aiming to provide this service for all of our landlords, no matter how big or small your property, or whether you have a Managed or Let Only Service you will be given full access to our in-depth photographic inventories to give you the most up to date and realistic representation of your property at the beginning of a tenancy. But it doesn't stop there; you will also be able to view all our inspection and checkout documents online. Landlords and Tenants will have the option to comment on the reports, keeping all parties informed of any changes instantly, and creating a comprehensive journal for future reference. This open approach to inventories, inspections and checkouts will aim to provide complete clarity to all parties involved in the lettings process. In association with the DPS (Deposit Protection Service) and My Deposits, we feel that the additional depth of detail that will be provided with this service will present a fair and true presentation of the properties, minimising end of tenancy disputes, and protecting the value of our landlords assets. A year ago in May 2013 I started in my first full-time job, prepared with a fresh mind-set and ready for whatever was to be thrown at me in the reality of the working world. I had a definite enthusiasm about houses and the budding potential to learn more, so pursuing a property-related career seemed to fit the bill one-hundred percent. I was thrilled to be successful to be chosen to enrol on an Apprenticeship scheme at LentinSmith Letting & Property Management in Harrogate. With no previous experience of an office environment, and my working history of a customer service based sales assistant role, it meant that my new office role would mean learning a completely new skill set. I can safely say that this year of in-depth, hands on experience has given me a wonderful insight into Lettings and Property Management and I can now boast to have an industry accredited qualification in Residential Letting & Property Management. Having had 12 months of tailored, on-the-job learning I can comfortably say that studying on an Apprenticeship scheme was an excellent choice for me. I would advise any young person looking to begin their desired career to study an apprenticeship; it gives a year of experience that is undoubtedly essential for developing and starting out in a career. I have obtained a full-time, challenging yet rewarding job and in a role as varied as mine, I know that there is room for progression and advancement in my knowledge every day. I am thoroughly looking forward to what my profession has in store for me as I continue as a Lettings Negotiator at LentinSmith. I owe thanks to Positive Outcomes for providing this apprenticeship training scheme, as it has given me the opportunity to start in a profession that I hope to follow for many years ahead. “ICM's study of 600 businesses reveals that a fifth of SMEs plan to take on one or more apprentices in the next 12 months alone, compared to 15pc in February 2013. The LentinSmith team celebrate as they accomplish 100km night ride through London City Centre! The 'Night Rider' event is a unique moonlit ride past London's Iconic landmarks including Tower Bridge and Abbey Road. The team completed the ride to raise funds for cancer research. We have recently introduced new floor plan designs into our marketing material. Floor plans are commonly used by Sales Agencies, but surprisingly very few Letting Agents utilise this tool. As one of the only dedicated Lettings Agents to offer this service, our new software allows us to create accurate layouts and room dimensions. The biggest advantage is that it provides prospective tenants with the opportunity to visualise the property while it is still in occupation, thus helping to reduce void periods between tenancies and increase landlord revenue. As more and more people look to rent long term we have received extremely positive feedback from clients and plan to roll out this service for all of our advertised properties in 2014. Further to the reports on BBC Look North this week about the poor state of the communal areas in the Gatehaus, we'd like to assure you all that since LentinSmith have become involved the situation has improved and we continue to work closely with individual owners to protect their assets and maximise their investments. We've been involved with the Gatehaus since the summer of 2011 and currently have the majority management of rental apartments in the property. We have been working tirelessly to improve the standard of tenant living there, adhering to the 'luxury living' premise the Gatehaus was built to portray. Our track record of attracting good quality tenants for the apartments under our management speaks for itself. We firmly believe that if Landlord, Agent and the overall Management Company work together in unison the quality of tenant can be improved, which in turn contributes to better care, overall cleanliness and general treatment of the communal areas and apartments themselves, which results in higher rent and occupancy to boost investment yields. We have in fact, just recently moved an established poet into the building from Lithuania, who deemed the building 'inspirational'. It needs to be luxury living for the professional person and receive the recognition it deserves - a true landmark building in Bradford. We are proud to announce the launch of our new, contemporary website! Jam packed with information, advice and interactive features including online maintenance reporting and login facilities for landlords. We are starting 2014 with bang as we introduce 8 newly developed apartments available to rent in Harrogate town centre, courtesy of Future Build developers. Formerly Mayfield Community Church, this conversion will comprise of six stylish 1 and 2 bed apartments , with two more flats due to be completed later In the year. 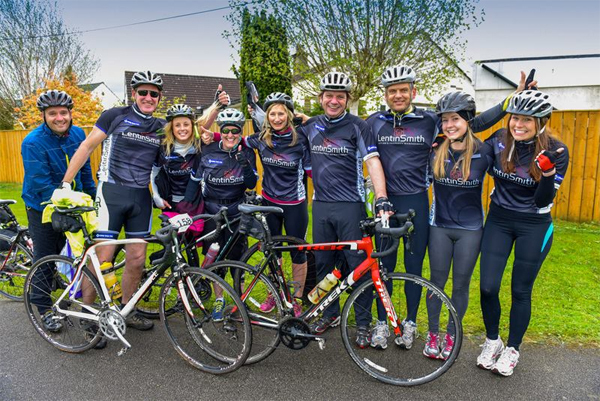 The LentinSmith team prepare to tackle their next challenge as they gear up for the 2014 London Night Rider! The team will embark on an exciting 100km moonlit cycle tour of London taking in 50 of the capitals top landmarks in aid of Cancer Research. Details of how you can donate coming soon. LentinSmith take on the Dales as they prepare for a 100km (62mile) non stop walk through the Yorkshire Dales! With help from some clients, LentinSmith employees will be taking part in the 'Trail Trekker Challenge' to raise money for Oxfam in June 2013. The three teams have begun training for the ambitious walk that will see them hiking over hilly terrain through the day and night! To put the trek into perspective, it is the same distance as two and a half marathons back to back. A little bonkers they may be, but it is in all in aid of a good cause. They are raising money to help people in poverty. Oxfam are hoping to put funds towards the Haiti Earthquake response and the Delivery of Clean water scheme. The Bank of England has held rates at their historic low of 0.5pc for the 27th consecutive month amid mounting evidence that the recovery is stalling. Key data on the UK's dominant services sector, taken together with the downbeat manufacturing and construction figures earlier this week, suggests the economy has suffered the biggest fall in growth since the collapse of Lehman Brothers. The Markit/CIPS headline services PMI index fell to 54.3 in April from 57.1 in March. While still indicating growth, it was below forecasts of 55.7. Following PMIs on manufacturing and construction earlier this week, the services sector survey indicated "the largest loss of growth momentum seen since just after the collapse of Lehmans" in September 2008, said Markit's chief economist Chris Williamson. This signalled that GDP growth was running at a quarterly rate of just 0.4pc, he said, which is lower than the 0.5pc first quarter growth rate seen after a shock contraction late in 2010. Just a few months ago, strong economic indicators and rising inflation had convinced markets that the Bank would begin increasing rates today. At one point, the markets were pointing to a nine in 10 chance of a rate rise. However, recent economic data has been weak - vindicating the Bank's decision to hold rates. Economists have pushed back their expectations of a rate rise to the end of the year - many had thought this month could be the turning point for the Bank of England's Monetary Policy Committee (MPC). Ray Boulger of independent mortgage adviser John Charcol said: "The City has belatedly recognised that there are far too many problems in the economy for the MPC to increase Bank Rate in the next few months and for the second time in as many months the majority of economists have yet again put back by a further three months their expectation as to when Bank Rate will increase. November now appears to be the majority view, but with an increasing number acknowledging the year may well end with Bank Rate still at 0.5pc." The PMI survey cautioned that a "myriad of factors is causing an unusually high degree of uncertainty in relation to gauging the strength of economic growth" in the second quarter. These included the performance of the construction sector, signs of order book growth slowing rapidly in manufacturing, the impact of government spending cuts, plus unusual weather and public holidays." Howard Archer of IHS Glogal Insight said: "Given the dominant role of the services sector, the survey fuels concerns over the fragility of the economy and its ability to withstand the fiscal tightening that increasingly kicked in from April. "The survey reinforces the case for the Bank of England to keep interest rates down at 0.5pc, for some months to come, even though it does reveal higher prices charged by services companies." "If we get another couple of months of weakness, it's entirely possible a rate hike will be postponed until the year-end or possibly early 2012," said Peter Dixon, an economist at Commerzbank. PMI surveys this week showed manufacturing grew at its slowest pace in 7 months in April and construction eased after two strong months. Stipping out December's snow-related drop, the services PMI headline index for April saw its largest decline since October 2008 and was blamed mainly on UK government spending cuts. Rising inflationary pressure saw average prices charged by the services sector rise in April, with the index jumping to 53.8 from 52.2 in March - the strongest reading since September 2008. The breakdown of the Markit/CIPS PMI survey gave a mixed picture for the service sector at a time of weak consumer confidence, government cuts and worries about the outlook. New business grew at its fastest pace since March 2010 and the rise in input prices eased to its lowest in four months. However, the business expectations index - which measures the outlook for a year's time -- eased for a second consecutive month in April to reach its lowest since December. Firms gave government cuts and weaker public sector demand as the reason for their less optimistic outlook. The British Chambers of Commerce and the Institute of Directors (IoD) have urged policy-makers to keep interest rates at the historically low level of 0.5pc, claiming any increase this month would damage economic recovery. The number of mortgages approved for house purchase rose to an eight-month high during March as activity in the property market showed signs of picking up, figures revealed today. A total of 31,660 loans were approved for people buying a new home, 5% more than during the previous month and the highest level since July last year, according to the British Bankers' Association. But despite the improvement, the figure is still down on the 35,124 mortgages for house purchase that were in the pipeline in March last year, while it is significantly below the 70,000 to 80,000 approvals a month that are considered to be consistent with a stable housing market. Mortgage advances continued to be subdued in March, with total lending of £7.75 billion, below both February's figure and the recent six-month average of £7.9 billion. Net lending, which strips out redemptions and repayments, also dropped to a three-month low of £846 billion, well down on March 2010's figure of £2.62 billion. The BBA attributed some of the weakness to the fact that households remained focused on paying down debt, leading to people overpaying their mortgages. The number of loans approved for remortgaging was slightly down on the six-month average at 24,764, but remained up on the levels seen during the first half of last year, as talk of future interest rate rises caused homeowners to review their mortgages. Howard Archer, chief UK and European economist at IHS Global Insight, said: "Despite the modest pick up in mortgage approvals reported by the BBA in March, housing market activity is still weak and far from supportive to house prices. "Mortgage approvals were still down 9.9% year-on-year in March and were still essentially only just above half the average monthly level of 57,824 seen since 1997. "This is consistent with our view that house prices are likely to trend down gradually further over the coming months." Unsecured borrowing remained negative in March, as consumers repaid £38 million more on credit cards, loans and overdrafts than they took on in new debt. Within the total, credit card debt rose by £149 million in the month, as a result of interest and charges, with repayments continuing to outstrip new spending. Borrowing through loans and overdrafts contracted for the 20th consecutive month, with people repaying £187 million more than was advanced in new debt. Savings levels bounced back in March, with consumers increasing the amount they have deposited by £2.38 billion, more than double February's £746 million rise. Ed Stansfield, chief property economist at Capital Economics, said: "The mortgage market remained in the doldrums in March. "Approvals for house purchase data suggest that buyers remained largely inactive in the face of the growing squeeze on household incomes, fragile consumer confidence and recent speculation about the prospect of higher interest rates."